Almost all of the leaves have fallen off our trees here. It's sad, but at the same time, kinda fun! Change isn't all bad, after all. 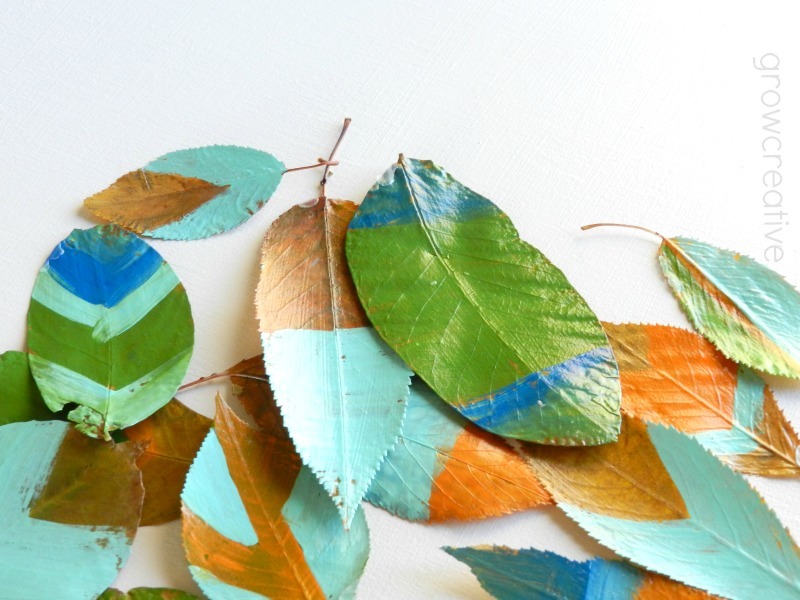 We've been raking and jumping in the fallen leaves, and I've also come up with a fun, crafty use for them! This was a simple craft project that my son and I could do together. So it was a win with the leaves this year! 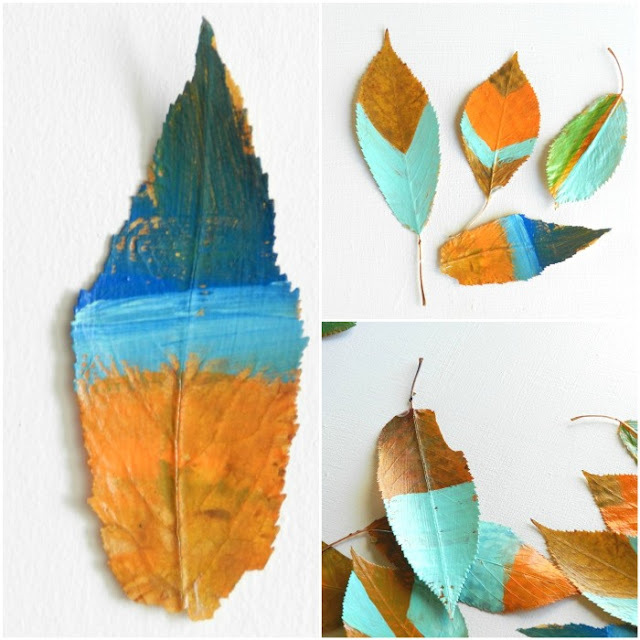 Dried and Pressed Leaves- it takes about two weeks for pressed leaves to dry, so plan ahead! Step 1: Paint designs on one side of your dried leaves. You do some color-blocking, stripes, chevrons, or whatever you can dream up. Be careful, the dry ones are super brittle. Let paint dry. 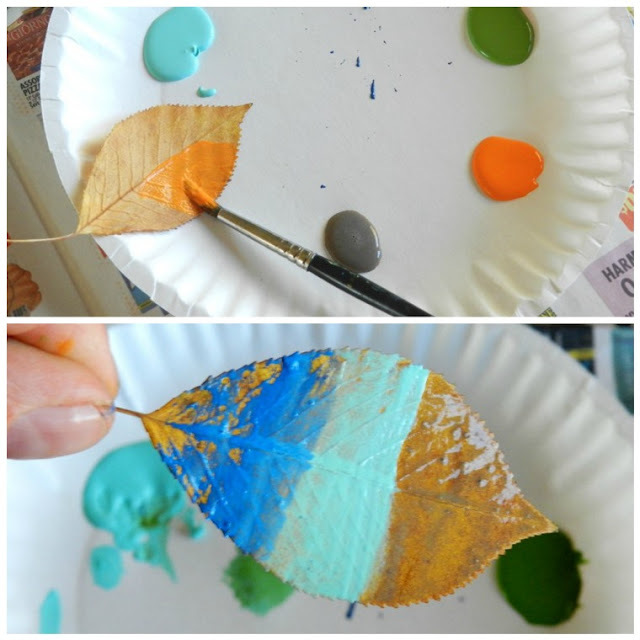 You can paint both sides of your leaves if you want, but I just painted one side for mine. 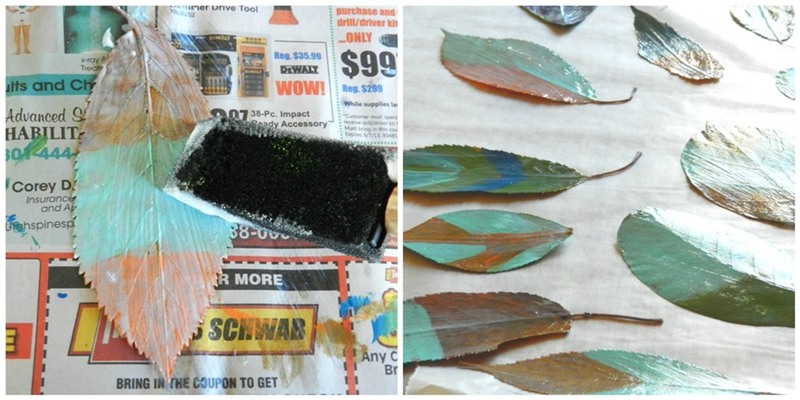 Step 2: When paint is fully dry, apply a thick coating of modge podge to one side of your leaves. Let dry. You may choose to lay them out to dry on wax or parchment paper so they won't stick to anything. Step 3: After the first modge podge side is dry, apply modge podge to the other sides of the leaves and let dry again. All done! 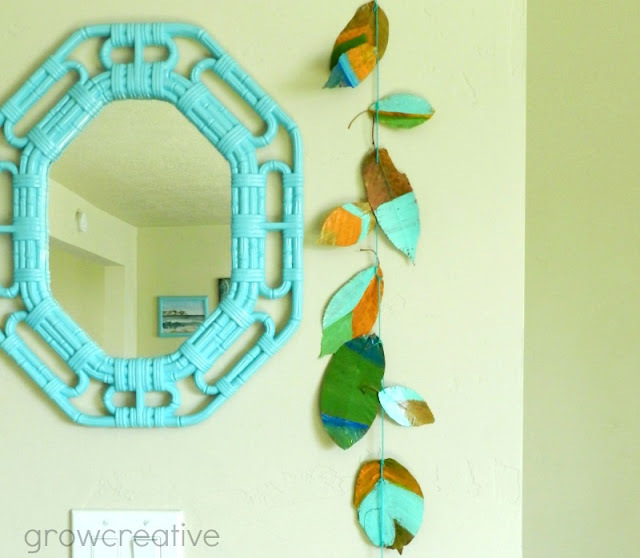 You can string them together to make a pretty fall garland to hang on the wall or scatter them on the hearth. So fun! I love how your brain works. That is really cute! I think I'll be doing this with my little girls, they will love it! How creative. I love the colors you used. 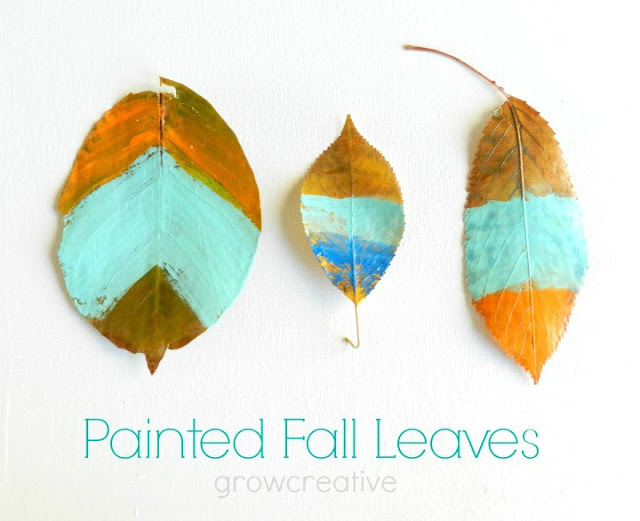 And I like that these can be done up any way for any season. Guess I will be heading to the backyard to gather up some leaves!!!! These are beautiful and so fun! I am going to share them on my facebook page tomorrow (Thursday)! This is such a great idea. It is simple and so artistic looking. My kids will love this! Thank you! Such a simple and easy way to decorate for fall! Love it! I love this project! Your leaves are so bright and vibrant! I think I need to make some before they're all gone.